Home › 7 (2019) 2 › Are Public Historians “Missionaries”? “Participation“ is something of a contemporary buzzword. Attuning oneself as closely as possible to the interests and needs of the general public is considered the golden path to success—not only in politics but also in culture and academia. Activities that effectively promote knowledge transfer have thus become a key criterion for the disbursement of public and private grants. For many years, international public historians have been discussing the challenges and limits of meaningful participation in historical research processes under the concept of “shared authority.” Are public historians therefore destined to play a particularly prominent role in institutional strategies for the transfer of knowledge in general, and of specialist academic knowledge in particular? A milestone in the current debates on knowledge-transfer activities in research and teaching in Germany was a 2016 position paper by the German Council of Science and Humanities (Wissenschaftsrat). 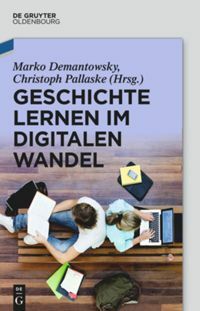 Entitled Wissens- und Technologietransfer als Gegenstand institutioneller Strategien [Knowledge- and Technology-Transfer as the Object of Institutional Strategies], this paper contains wide-ranging recommendations and analysis. Since then, a number of universities have developed what has become known as the “third-mission” concept. This includes all “activities of a university carried out in the context of teaching and research that are not restricted to teaching and research.” The two core activities of a university, research and (undergraduate) teaching, are thus joined by a third one. This “new” activity covers both considering the interests of broader society and addressing people outside the narrow world of academia. A review of findings in higher education research indicates that third-mission activities carried out at German universities tend to focus on three areas: adult education, technology and knowledge transfer (often with a regional focus), and (charitable) social initiatives. By now at least, it should be clear that the third mission does not describe an entirely new field of activity for universities. Promoting the third mission means pursuing two overarching goals: The first is to increase the visibility of relevant activities that are already taking place at universities in any case; the second is to include such activities in the range of services we consider universities to provide—and in this way to make them quantifiable and comparable. While the word “mission” stresses the normative components of cooperation with external partners, above all in relation to adult education and social initiatives, the word “transfer” as highlighted by the Council of Science and Humanities tends to suggest formal aspects of these cooperative activities. It would certainly be interesting at this point to examine empirically whether, in terms of the framework just outlined, “classical” technology and knowledge transfer are more likely to take place in areas such as the physical sciences, life sciences, and technology, while adult education and above all social initiatives are more common in the humanities and social sciences. While transferring the results of research activities has always been one of the key tasks of universities and their academic staff, it appears far more difficult to identify and describe transfer processes that take place in the context of teaching: What would teaching with a strong focus on transfer even look like? This question should be of great interest not only to historians but to everyone involved in the arts and social sciences. “Imposition or opportunity?” is the subtitle, chosen not without good reason, of a symposium on “Transfer in teaching” to be held jointly by the universities of Konstanz, Cologne, and Bremen in March 2019. This event aims to discuss an “expanded concept of transfer” applicable to teaching, to ask what such teaching would consist of in practice, and to think about structures and guiding visions that would support the development of this field in the future. Answering these questions sensibly depends not least on the extent to which researchers in higher education are willing to take matters of public interest into account in their work or instead interpret calls for their work to “make connections” with the public or possess “general relevance” as a curtailment of academic freedom. It is certainly harder to directly “detect” the ability to make connections than it is to seek to deliberately enable it by building participative elements into research and teaching. However, there are also various forms and formats of participation that are not based merely on direct public involvement. Academics themselves need to continually reflect on the relationship between their “core mission(s)” and the “third mission,” rebalancing when necessary. Against this background, our musings on transfer activities in research and teaching—perhaps born more out of necessity than any real desire—can be steered in a different direction: Should we not, remaining true to Habermas’ vocabulary, (once again) directly reflect upon what the socialisation of the university and the scientisation of professional life – processes that have continued to advance in the last three decades—currently mean for our disciplines? There are good reasons to doubt whether merely performing research is enough to reveal its relevance to the interests and problems of the public at large. 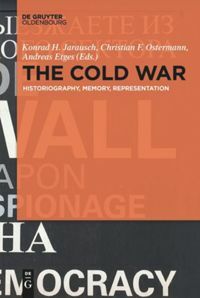 Perhaps by adopting the paradigm of public history, the discipline of history, both study and teaching, has already gone some way along the necessary path: Firstly, the topic of “practical application” is (more) intensively discussed in this area—not least the question of whether public history and applied historical research share a common core or have a different focus. Secondly, public history has led to greater awareness of the public character of teaching in all disciplines that have a historical focus. Teaching formats such as practical modules and projects in particular strengthen participatory thinking because they always require attention towards issues of knowledge transfer and dissemination. This constant reflection on cooperation and collaboration with the public can indeed lead to public historians being perceived as missionaries in the context of institutional strategies for knowledge transfer. Henke, Justus, Peer Pasternack, and Sarah Schmid. Viele Stimmen, kein Kanon. Konzept und Kommunikation der Third Mission von Hochschulen. (HoF-Arbeitsbericht 2’15). Halle-Wittenberg: Institut für Hochschulforschung, 2015. “Roundtable. Public and Applied History in International Context.” The Public Historian 40, No. 4 (2018): 11–61 (forthcoming). The roundtable includes a main input to the discussion and a summary by Jaqueline Nießer and Juliane Tomann as well as comments by Catalina Muñoz, Steven Luba, Jennifer Dickey, Thomas Cauvin, Ricardo Santhiago, Cord Arendes and Alix Green. “Wissens- und Technologietransfer als Gegenstand institutioneller Strategien.” https://www.wissenschaftsrat.de/5665-16.pdf (last accessed 30 november 2018). Stifterverband. “Transfer-Audit. Ein Service zur Weiterentwicklung der Kooperationsstrategien von Hochschulen mit externen Partnern.” https://www.stifterverband.org/transfer-audit (last accessed 30 november 2018). Cf. Thomas Cauvin, Public History. A Textbook of Practice (New York: Routledge, 2016), 216–229. Cf. Wissenschaftsrat, Wissens- und Technologietransfer als Gegenstand institutioneller Strategien (Weimar: Wissenschaftsrat, 2016). Cf. Justus Henke, Peer Pasternack und Sarah Schmid, Viele Stimmen, kein Kanon. Konzept und Kommunikation der Third Mission von Hochschulen (HoF-Arbeitsbericht 2’15) (Halle-Wittenberg: Institut für Hochschulforschung, 2015), 36–41, Citation 40. Henke, Pasternack, and Schmid, Viele Stimmen, kein Kanon, 41–45. Cf. “Ankündigung der Tagung,” Universität Konstanz, https://www.uni-konstanz.de/transfersymposium/ueber-die-veranstaltung/ (last accessed 30 november 2018). Cf. “Konzept der Tagung,” Universität Konstanz, https://www.uni-konstanz.de/transfersymposium/konzept/ (last accessed 30 november 2018). Jürgen Habermas, “Über die Idee der Universität – Lernprozesse,” in Eine Art Schadensabwicklung, ed. Jürgen Habermas (Frankfurt a.M.: Suhrkamp, 1987) (Kleine politische Schriften 6), 73–99. Habermas, “Über die Idee der Universität – Lernprozesse,” 90. “Roundtable. Public and Applied History in International Context,” The Public Historian 40, No. 4 (2018): 11–61 (forthcoming). Cf. Angela Siebold and Cord Arendes, “Historisch Forschen – Professionell Vermitteln. Ziele und Herausforderungen einer universitären Public History in Heidelberg,” in Projektlehre im Geschichtsstudium. Verortungen, Praxisberichte und Perspektiven, ed. Ulrike Senger, Yvonne Robel und Thorsten Logge (Bielefeld: Bertelsmann, 2015) (Doktorandenbildung neu gestalten 5), 105–116. Trinity College Dublin © 2019 Pixabay. Arendes, Cord: Are Public Historians ‘Missionaries’? In: Public History Weekly 7 (2019) 2, DOI: dx.doi.org/10.1515/phw-2019-13225. Partizipation ist heute in aller Munde. Eine möglichst enge Ausrichtung an den Interessen und Bedürfnissen des Publikums gilt nicht nur in der Politik, sondern auch in Kultur und Wissenschaft als das Erfolgsrezept schlechthin. Überzeugende Transferaktivitäten sind deshalb auch ein entscheidendes Kriterium bei der Vergabe öffentlicher und privater Fördermittel. 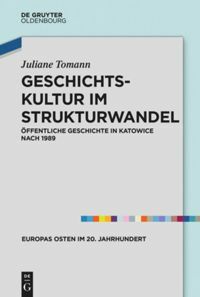 Die internationale Public History diskutiert die Herausforderungen und Grenzen einer umfassenden Teilhabe an historischen Forschungsprozessen schon seit längerem unter dem Stichwort “Shared Authority”. Sind Public Historians deshalb dazu prädestiniert, sich im Rahmen institutioneller Strategien des Wissens- und Wissenschaftstransfers in besonderem Maße aktiv zu engagieren? Als Meilenstein der aktuellen Debatten zu Transferaktivitäten in Forschung und Lehre muss für den deutschen Kontext das Positionspapier des Wissenschaftsrates aus dem Jahr 2016 gelten. Diese Stellungnahme lieferte übergreifende Empfehlungen und Analysen zum Thema “Wissens- und Technologietransfer als Gegenstand institutioneller Strategien”. Verschiedene Hochschulen haben seitdem sogenannte “Third Mission”-Konzepte erarbeitet. In diese Rubrik fallen alle “Aktivitäten einer Hochschule, die im Kontext von Lehre und Forschung stattfinden, ohne allein Lehre bzw. Forschung zu sein”. Zu den beiden traditionellen wissenschaftlichen Kernaufgaben Forschung und Lehre (verstanden als grundständiges Studienangebot) tritt somit ein drittes Ausgabenfeld hinzu. Diese “neue” Aufgabe schließt die Berücksichtigung gesellschaftlicher Interessenlagen genauso mit ein wie Adressaten*innen außerhalb des engen akademischen Feldes. Folgt man den Erkenntnissen der Hochschulforschung, so umfassen Third Mission-Aktivitäten an deutschen Hochschulen heute vor allem drei Aufgabenbereiche: die Weiterbildung, den (häufig regional verankerten) Technologie- und Wissenstransfer und das (gemeinnützige) gesellschaftliches Engagement. Spätestens an dieser Stelle sollte deutlich geworden sein, dass es sich bei der Third Mission nicht um ein völlig neues Betätigungsfeld von Hochschulen handelt. In der Praxis stehen zwei Ziele im Vordergrund: zum einen entsprechende Aktivitäten, die ohnehin schon an Hochschulen stattfinden, sichtbar zu machen; zum anderen diese Aktivitäten in die Leistungsportfolios von Hochschulen einzuarbeiten – und damit messbar bzw. vergleichbar werden zu lassen. Während der Begriff “Mission” bei der Kooperation mit externen Partnern*innen vor allem hinsichtlich der Weiterbildung und des gesellschaftlichen Engagements auf normative Komponenten verweist, so hebt der vom Wissenschaftsrat betonte “Transfer” eher formale Aspekte dieser Kooperationen hervor. Interessant wäre es an dieser Stelle sicher, empirisch nachzuvollziehen, ob in dem gerade skizzierten Rahmen der “klassische” Technologie- und Wissenstransfers weiterhin eher in den Natur-, Technik- und Lebenswissenschaften, Aspekte der Weiterbildung und vor allem das gesellschaftliche Engagement dagegen eher in den geistes- und sozialwissenschaftlichen Disziplinen verortet werden. Der Transfer von Ergebnissen der eigenen Forschungsbemühungen gehört seit jeher zu den Kernaufgaben von Hochschulen und der an ihnen tätigen Wissenschaftler*innen. Als ungleich schwerer dürfte es sich dagegen erweisen, Transferprozesse im Kontext der Lehre zu identifizieren und zu beschreiben: Wie haben wir uns beispielsweise Lehrveranstaltungen vorzustellen, die sich eng am Transfergedanken orientieren? Eine Frage, die nicht nur für die Geschichtswissenschaft, sondern für alle geistes- und sozialwissenschaftlichen Disziplinen von hohem Interesse sein dürfte. “Zumutung oder Chance”, so lautet wohl nicht ohne Grund der Untertitel eines Symposiums, welches die Universitäten Konstanz, Köln und Bremen im März 2019 gemeinsam zum Thema “Transfer in der Lehre” veranstalten. Dort soll über einen “erweiterten Transferbegriff” in der und für die Lehre diskutiert, nach möglichen Inhalten dieser Lehre gefragt und über unterstützende Strukturen und Visionen bei der zukünftigen Ausgestaltung des Feldes nachgedacht werden. Schlüssige Antworten auf diese Fragen hängen nicht zuletzt davon ab, inwieweit Wissenschaft bei ihrer Arbeit öffentliche Problemlagen und Fragestellungen mitzudenken vermag oder den Wunsch nach Anschlussfähigkeit bzw. basaler Relevanz bereits als Einschränkung ihrer Freiheit interpretiert. Anschlussfähigkeit lässt sich sicher weniger “erahnen”, als durch partizipative Elemente in Forschung und Lehre gezielt anstreben. Unterschiedliche Formen und Formate der Teilhabe setzen aber nicht nur die Partizipation des Publikums voraus. Auch auf Seiten der Wissenschaftler*innen muss das Verhältnis der “Core Mission(s)” zur “Third Mission” immer wieder reflektiert und gegebenenfalls neu gedacht werden. Unser – vielleicht mehr aus der Not geborenes als selbst gewolltes – Sinnieren über Transferaktivitäten in Forschung und Lehre könnte vor diesem Hintergrund in eine andere Richtung gelenkt werden: Sollten wir nicht, um bei der Diktion von Habermas zu verweilen, (wieder) gezielter darüber nachdenken, was der in den letzten drei Jahrzehnten weiter fortgeschrittene Prozess von Vergesellschaftung der Universität und Verwissenschaftlichung der Berufspraxis aktuell für unsere Disziplinen bedeutet? Ob die Bezüge zu den Interessen und Fragen des Publikums allein aus den Forschungsprozessen selbst heraus transparent werden, ist mit guten Gründen zu bezweifeln. Vielleicht haben Geschichtswissenschaft und Geschichtsdidaktik mit der Public History bereits den notwendigen Weg zumindest ein Stück weit beschritten: zum einen, weil in diesem Bereich das Thema ”Anwendung“ intensiv(er) diskutiert wird – nicht zuletzt die Frage, ob Public History und Angewandte Geschichtswissenschaft über einen gemeinsamen Kern verfügen oder doch unterschiedliche Schwerpunkte setzen. Zum anderen, weil die Public History dazu geführt hat, in den historisch arbeitenden Disziplinen stärker als bisher dem Öffentlichkeitscharakter von Lehre gerecht zu werden. Vor allem Lehrformate wie Praxis- oder Projektseminare stärken den Partizipationsgedanken in dem sie immer auch Überlegungen zur Wissensvermittlung bzw. zum Wissenstransfer beinhalten. Und diese beständige Reflexion über Kooperationen oder Kollaborationen mit einem Publikum könnte dazu führen, dass Public Historians durchaus als ”Missionare*innen“ im Rahmen institutioneller Strategien des Wissens- und Wissenschaftstransfers wahrgenommen werden. Henke, Justus, Peer Pasternack and Sarah Schmid. Viele Stimmen, kein Kanon. Konzept und Kommunikation der Third Mission von Hochschulen. (HoF-Arbeitsbericht 2’15). Halle-Wittenberg: Institut für Hochschulforschung, 2015. “Themenschwerpunkt. Public and Applied History in International Context.” The Public Historian 40, Nr. 4 (2018): 11–61. Der Themenschwerpunkt schließt einen Diskussionsbeitrag und eine Zusammenfassung von Jaqueline Nießer und Juliane Tomann sowie Kommentare von Catalina Muñoz, Steven Luba, Jennifer Dickey, Thomas Cauvin, Ricardo Santhiago, Cord Arendes und Alix Green ein. “Wissens- und Technologietransfer als Gegenstand institutioneller Strategien.” https://www.wissenschaftsrat.de/5665-16.pdf (letzter Zugriff 30. November 2018). Stifterverband. “Transfer-Audit. Ein Service zur Weiterentwicklung der Kooperationsstrategien von Hochschulen mit externen Partnern.” https://www.stifterverband.org/transfer-audit (letzter Zugriff 30. November 2018). Vgl. Thomas Cauvin, Public History. A Textbook of Practice (New York: Routledge, 2016), 216–229. Vgl. Wissenschaftsrat, Wissens- und Technologietransfer als Gegenstand institutioneller Strategien (Weimar: Wissenschaftsrat, 2016). Vgl. Justus Henke, Peer Pasternack and Sarah Schmid, Viele Stimmen, kein Kanon. Konzept und Kommunikation der Third Mission von Hochschulen (HoF-Arbeitsbericht 2’15) (Halle-Wittenberg: Institut für Hochschulforschung, 2015), 36–41, Zitat 40. Vgl. Henke, Pasternack and Schmid, Viele Stimmen, kein Kanon, 41–45. Vgl. “Ankündigung der Tagung,” Universität Konstanz, https://www.uni-konstanz.de/transfersymposium/ueber-die-veranstaltung/ (letzter Zugriff 30. November 2018). Vgl. “Konzept der Tagung,” Universität Konstanz, https://www.uni-konstanz.de/transfersymposium/konzept/ (letzter Zugriff 30. November 2018). Jürgen Habermas, “Über die Idee der Universität – Lernprozesse,” 90. Vgl. den “Themenschwerpunkt. Public and Applied History in International Context,” The Public Historian 40, No. 4 (2018): 11–61 (im Erscheinen). Vgl. Angela Siebold und Cord Arendes, “Historisch Forschen – Professionell Vermitteln. Ziele und Herausforderungen einer universitären Public History in Heidelberg,” in Projektlehre im Geschichtsstudium. Verortungen, Praxisberichte und Perspektiven, ed. Ulrike Senger, Yvonne Robel und Thorsten Logge (Bielefeld: Bertelsmann, 2015) (Doktorandenbildung neu gestalten 5), 105–116. Arendes, Cord: Public Historians als ”Missionare“? In: Public History Weekly 7 (2019) 2, DOI: dx.doi.org/10.1515/phw-2019-13225.